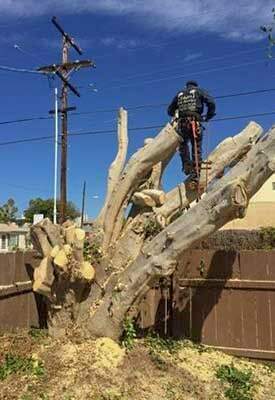 Estates Tree Service is proud to be able to offer the best Tree Trimming, Removal, and Tree Service in San Diego County, in addition to the quality work that we perform we are also the best value in tree care and tree removal services. Since 1992 Estates Tree Service has provided only the highest quality Tree Care and Removal to homeowners, commercial businesses, HOA’s and property managers in Ramona, Alpine, El Cajon, Santee, Lakeside, Imperial Beach, Coronado, Point Loma, Pacific Beach, Carlsbad, Delmar, Fallbrook, Poway and everywhere between, no matter where you are in the County, Estates Tree Service is proud to be able to provide you with a free, no obligation tree care estimate. We Are The Tree Trimming, Tree Removal, and Tree Care Experts in El Cajon, Santee, La Mesa, Poway, Pacific Beach, North Park, La Jolla, Del Mar, Carmel Valley, Fallbrook and the surrounding areas. At Estates Tree Service we believe in hiring experienced and highly trained tree professionals, each of our employees has gone through rigorous training and they have years of experience. 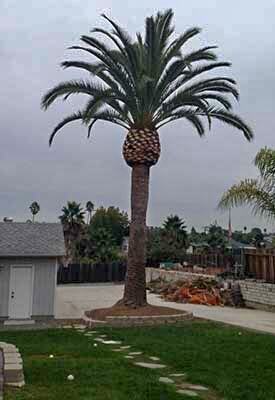 With our extensive knowledge of San Diego’s unique landscape and climate you can trust that we will properly care for and maintain all types of trees, including Palm trees, olive, ficus, jacaranda, eucalyptus, okay, pine, cedar and more, additionally if you have fruit tree’s you can trust our staff to expertly service your trees so that they are happy and healthy which will help them to continue producing for years to come. We can help you manage any issues that you encounter with your trees, whether they’re leaning over your home, driveway, solar panels or pool, they’re overgrown, dead, or just a general fire and safety hazard, let us know what it is that you’re looking to achieve and during our free estimate we will fully evaluate your needs and provide helpful advice along with a low-cost tree trimming, removal or general care estimate, these are just a few of the perks you’ll receive when you choose the best Tree Service San Diego has to offer. As the premier Tree Service company in San Diego County we are Licensed, Insured and BBB A+ rated, we have hundreds of great reviews from our happy customers, many of which have had us return year after year to care for their yards and protect their property from the dangers of unhealthy trees. We do not consider a job complete until our customer is 100% satisfied, our goal is to ensure that you’ll be a customer for life and we take that seriously, in order to earn your business we offer the best Tree removal and care rates along with the highest quality services. 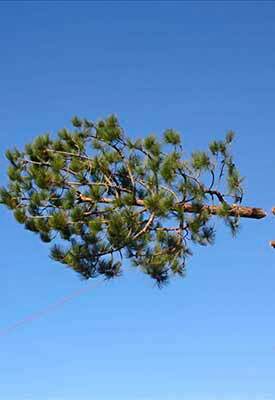 We are available when you need us for your Tree maintenance, Emergency Tree Service, or Brush Clearing. 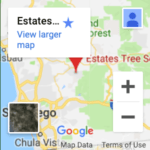 Estates Tree Service is open 24/7, so if you have an emergency during one of San Diego’s fierce Santa Ana’s, or you need brush removed around your home immediately due to fire danger, we are here to help you. Give us a call anytime at (760) 440-9138, our trusted team of experts will be there to help with your tree service in San Diego when you need it the most. 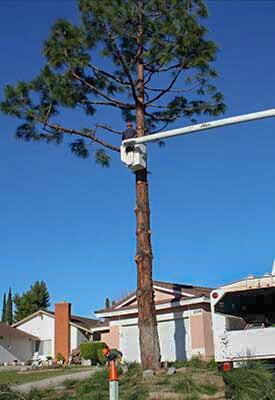 We are San Diego’s Certified Expert Full-service Tree care, Maintenance, Trimming and Removal company. Estates Tree Service is a BBB A+ rated company, we have hundreds of reviews from happy clients throughout San Diego and we use the industries best practices, equipment and training to ensure that you will be fully satisfied with the service we provide you. The owner of Estates Tree Service is involved in nearly every single job that we bid and complete, overseeing the process from start to finish. We will take care along every step of the process to ensure that you, your family and your property is safe, when the job is complete we take every measure to leave your property like we found it, only better, because your trees will be healthier, safer and they will look great! 🌳Stump Grinding that never grows back. 🌳Crown reduction, thinning and shaping. Making your property safe, beautiful, and keeping your wallet happy. We have the best equipment in the business, including an 80-ft Boom truck that allows us to reach even the tallest trees. There is no job to big or too small for us! If you’re in need of Tree Services in San Diego give us a call, or use the contact form below to send us a message and our expert staff will be in contact shortly to schedule your tree makeover.